First of all, thanks a lot for your website. I have been visiting it for 10 years at least! I would like to share a couple of great things with you. 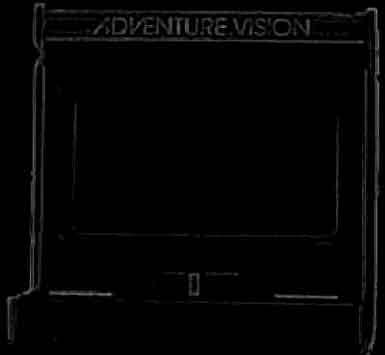 The first one: I'm the owner of an Adventure Vision in Barcelona. So I'm happy to say another Adventure Vision has travelled to Europe! I am attaching you a picture of the system and my only (at least boxed!) 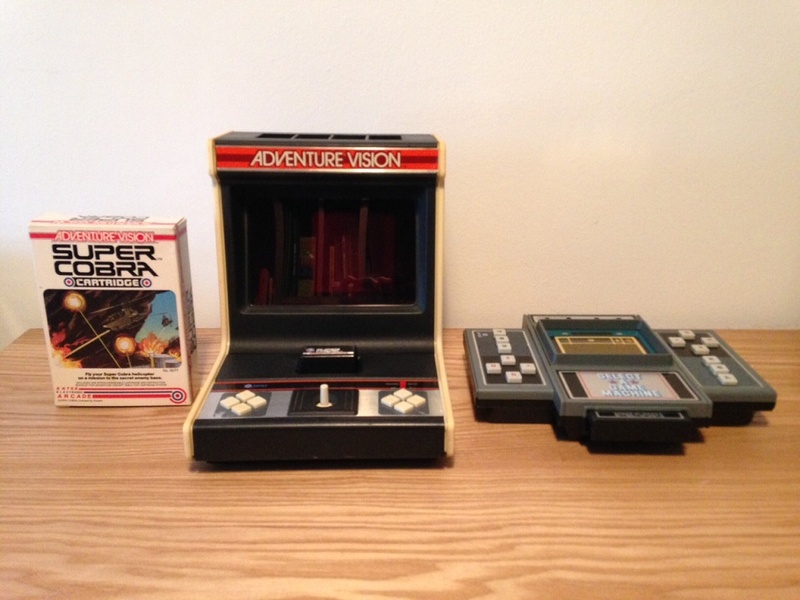 game: Super Cobra, and also a Entex Select a game ;) If I can join your owner's pride list it would be amazing. I promise sending a cooler picture and a small story about my relation with the system. The second one: I have an amazing document I want to share with you. I think you will love it. Some months ago I found an old catalogue from a UK company: Halles. It was a toy distributor back in the 80's. This catalog shows their products to potential toy stores that would sell their products, so isn't a mass produced catalogue. Actually I tried to find another one on Google and it has been impossible. The cool thing: it shows a lot of Entex games, but actually it shows prototype mockup of an Adventure Vision! In addition, it shows prototype mockups of almost every Entex game launched on 1982. The information about the game is really cool. It actually says the system will include a Space Force cartridge, wich of course never happened, and it says many more games are on development. I would love that! I hope you receive this e-mail. If you need more pictures I can send them to you. It is a pleasure to send stuff like this to someone that cares so much about this great system. Wowwy wow WOW!!! Awesome... simply awesome! Thanks again for sharing all this information, the scan, and the picture! It will all forever have a home here!